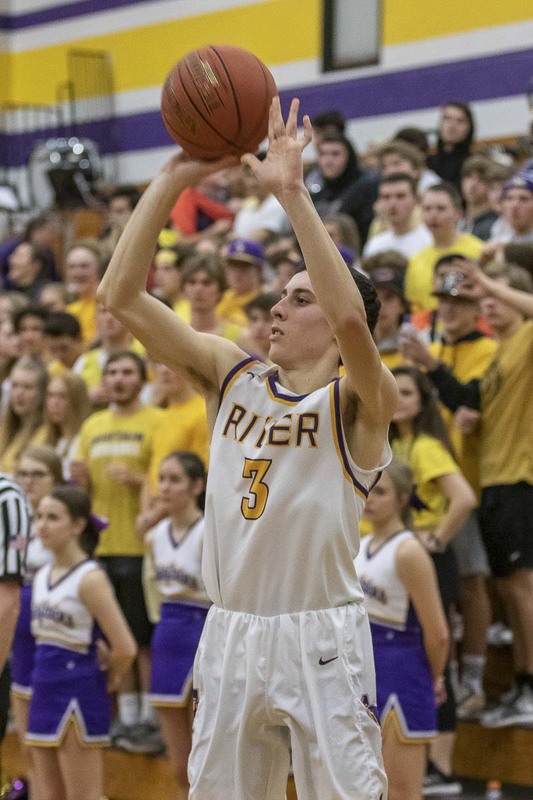 VANCOUVER — The Columbia River Chieftains passed the first test of the postseason Tuesday night in the Class 2A District 4 boys basketball tournament. Seriously, they passed, passed some more, and kept passing, picking up a 26-point victory over W.F. West as the tournament opened after days of delays. Evan Dirksen was 10 for 16 from the floor and scored 25 points. Dirksen, Caden Dezort and Alex Miller combined to make 11 3-pointers in a 61-35 win. Just as impressive, the Chieftains recorded assists on 19 of their 23 field goals. Dirksen had six assists, and Nate Snook had five. That is how this team has gone 19-2 and earned the No. 2 mark in the state RPI rankings among Class 2A teams. 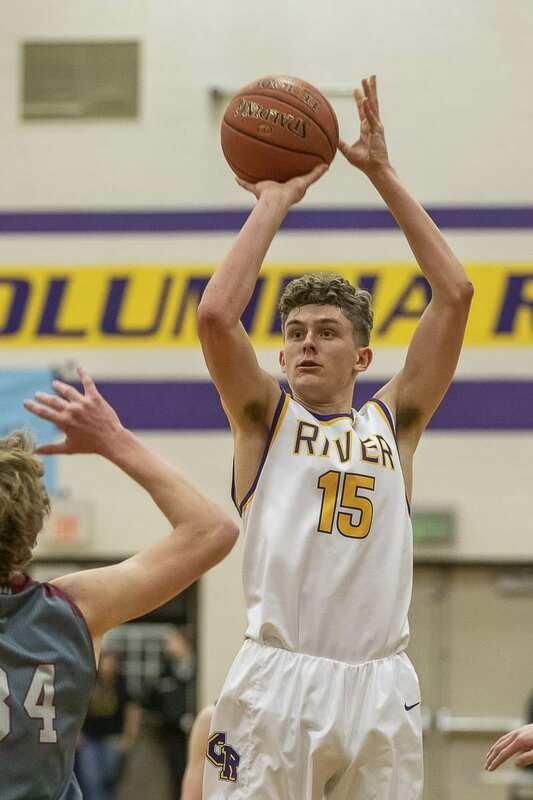 Columbia River, which placed sixth at state last year, will get its first chance to qualify for the 2019 tourney on Thursday when the Chieftains take on Ridgefield in the district semifinals. Game time is 7:45 p.m. Thursday at Hockinson High School. The Chieftains, who have won 14 in a row, are enjoying their success because of how they have succeeded. They lost a couple all-leaguers to graduation last year. There were some who thought maybe River would be down this season. If it really is an us vs. the world mentality, the focus is on us at Columbia River. Those assists Tuesday night? Not a surprise at all. Now they have to be built to play three games in four nights — they hope. If River wins Thursday, it will play in the district championship game Friday. Thursday’s loser will have to win back-to-back games to make it to state. The schedule is due to the weather that hit the state over the weekend. Initially, the boys tournament was supposed to start Saturday. But the first round got moved up to Friday, hoping to beat the storm. Instead, by Friday afternoon, administrators called off the Friday games. The Chieftains even dressed up for game day, only to have the game called off that day. So, yeah, they had been waiting to play, waiting to play in front of the home crowd one last time. The rest of the season will be feature games on neutral courts. So the Chieftains put on a show one more time at the high school. Dirksen had 17 points in the first half. River used an 11-0 run to take command and would go up 13 at the break. The lead grew to 19 after three quarters. Then Dezort, Dirksen, and Miller combined for four 3-pointers to open the fourth-quarter scoring. Tuesday featured several basketball games featuring Southwest Washington squads in 2A and 1A classifications. The 4A and 3A bi-district tournaments are scheduled to resume Wednesday. Here is a roundup of Tuesday’s action, plus links to the new schedules in each tournament. The Ridgefield Spudders traveled to Aberdeen and dominated the home team in a 61-40 victory, advancing to the semifinals against Columbia River. … Black Hills topped Hockinson 80-68, sending the Hawks into the consolation bracket. Hockinson will have to win three in a row to make it to state. The top seed from 2A GSHL was the only team from the league to get a win in the opening round of the District 4 girls tournament. Beyonce Bea had a double-double with 14 points and 11 rebounds, leading the Washougal Panthers to a 44-29 win over Rochester. Washougal will face Tumwater on Thursday at Black Hills High School in one semifinal. Tumwater beat Columbia River, Black Hills beat Woodland, and W.F. West topped Ridgefield in Thursday’s other first-round games. Columbia River will take on Rochester in one consolation game. Ridgefield and Woodland will play Thursday at Hockinson High School in the other consolation game. Only one team gets through the consolation bracket to qualify for state. It will be La Center vs. King’s Way Christian for the third time this season, only this time it will be for the District 4 championship. 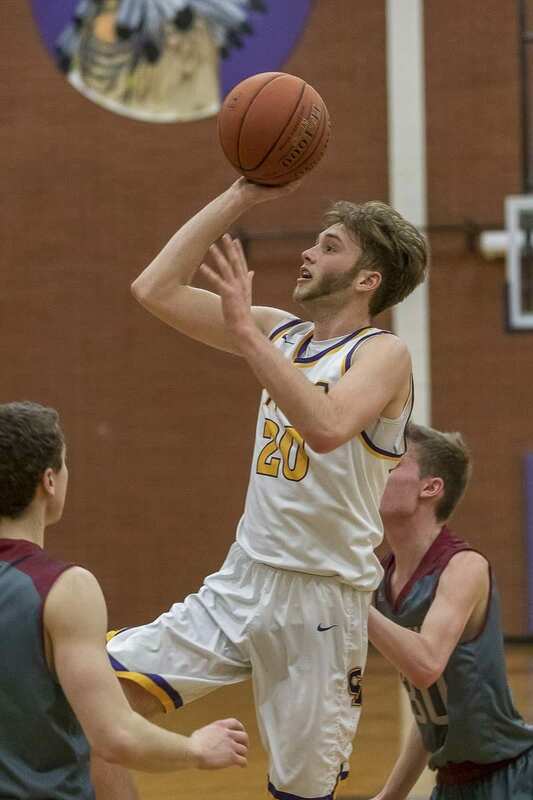 La Center, the top seed from the Trico League, beat Montesano 80-60 Tuesday. King’s Way Christian, No. 2 from the Trico, crushed Forks 72-45 in the other semifinal. The two teams split their series in the regular season. The district championship game is scheduled for Friday at W.F. West High School. Montesano beat La Center 55-37, sending the Wildcats into the consolation bracket. La Center’s Taylor Stephens made school history, though, becoming the program’s all-time leading scorer. She broke the 1,700-point mark. La Center will play again Thursday against Forks in the consolation bracket. Montesano will face King’s Way Christian on Thursday in a semifinal. Union and Skyview play in separate winner-to-state games Wednesday. Battle Ground tries to stay alive in the consolation bracket. Camas and Union play in separate winner-to-state games Wednesday. Skyview tries to stay alive in the consolation bracket. The Prairie Falcons and Mountain View Thunder hit the road to play in winner-to-state games Wednesday. Prairie travels to Timberline for a 5 p.m. game, Mountain View heads to Lincoln for a 7 p.m. contest. The Prairie Falcons get to play a postseason game. The top seed from the 3A Greater St. Helens League got a first-round bye in the bi-district. Then the bi-district was delayed for days. Prairie is scheduled to host Lincoln at 5 p.m. today. Hudson’s Bay also is on the schedule today, traveling to take on Gig Harbor at 5 p.m. These are quarterfinals, and winner-to-state.